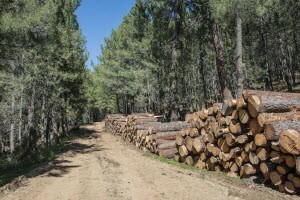 So you’ve decided to develop your property, but you need a tree removal company to clear the trees and brush before you can start your project. How do you know which companies offer the most complete service? Which ones will haul away all the wood and mulch, and which ones will leave it all sitting on your property? This is the essence of what a tree removal company does, day in and day out. The company you choose should be willing to cut as few or as many trees as you wish from your property. A good tree removal business will offer this service as well. After all, what’s the use of cutting down trees if you’re just going to leave the bushes there? If it all needs to go, the company you pick for the job should be willing to clear them all out. If you’re planning on building a structure of any kind on the property, you will need a smooth surface to work with. Any reputable tree removal companies should offer to grind the tree stumps for you. The best companies will do it for no additional cost. If you don’t want to keep the logs and mulch for yourself, then the company you select to clear your property should be willing and able to haul it all away for you. The best tree removal companies will offer you grading services as well. 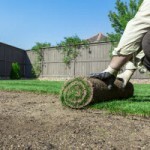 This is the quickest way to ensure your property is free of trees, bushes, stumps, and debris. It also starts you off with a clear, smooth surface on which to start your project. Getting your property cleared is a big job, so it’s important to hire a company that has plenty of experience and provides you with a detailed estimate. Choose a company that is licensed and insured, too. This will protect both of you in the event of an unfortunate accident. Don’t be afraid to ask for references before making your final decision. The recommendations of others could easily be a deciding factor. How easy was the company to work with? Were they honest with their estimates of cost and duration for the project? These are important things to know. Su-Tree is based in Alpharetta, GA but has been clearing property all over the surrounding counties since 1989. We are a trusted and respected name in tree removal, stump grinding, and lot clearing. Call Su-Tree at (404) 392-6935 for a free estimate on clearing from a tree removal company. Tags: Alpharetta Tree Service, Tree Stump Grinding, What does a tree removal company do?